Atlanta Plumbers uses some of the most advanced technologies on the market today to locate and repair sewer line problems. We bring a level of professionalism that is above the rest and commitment to complete customer satisfaction that sets us apart. 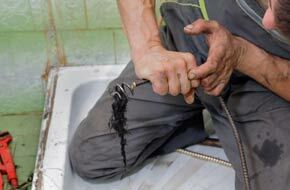 Call today for all of your Atlanta sewer repair needs.